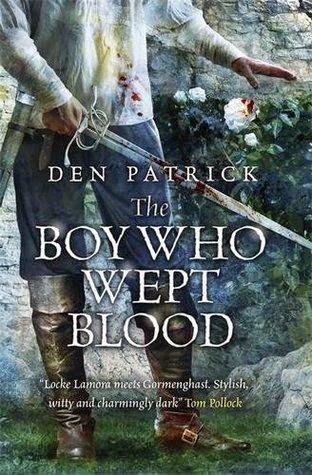 8th January sees the release of the paperback edition of The Boy With The Porcelain Blade. Rest assured I will be safely ensconced in a London boozer raising a glass to Lucien and friends. Thursday 29th January is the big one. The Boy Who Wept Blood, book two of The Erebus Sequence is released and I’ll be at Waterstones flagship store at Piccadilly. My editor, Simon Spanton, will interview me about the books and my experiences being a debut author. I suspect there will be wine. There had better be wine. You can find event info and ticket booking HERE. Saturday 31st January sees me signing for Forbidden Planet in Southampton. I had a great time at the store last year and am looking forward to returning. You can find the event information HERE. Finally, on the Saturday 7th February (Edit: date change, now the 21st), I’ll be heading to Waterstones Kingston with Jen Williams, author of The Copper Promise and The Iron Ghost, and co-founder of SRFC. We'll be signing and discussing of our books and Fantasy in general. All in all it’s going to be a manic few weeks and I look forward to seeing you all, signing lots of books and enjoying a drink or two. Something I should have mentioned back in October: I was delighted to be included on a series of audio short stories presented by Pseudopod. It’s a strange little Halloween story that I wrote in two sittings. I hope you enjoy it. There’s also a ton of talented authors on the same podcast, so check them out.